(shortening it, since the commentators chose to blabber on about the Team Event at the Olympics – so I’m keeping only the Yuzu parts). - … there’s a quad! 4T. - He pulled it through, didn’t he? - He understands that he should go for the quantity – if Fernandez does three, he should at least do two. - 3F. He’s fighting, he is fighting for everything. - 3A was very good, no doubt about that. - Yeah, 3A3T in combination. - 3A2T with arms aloft. - He pushes his level of difficulty as much as he can. A very talented skater. - Well, perhaps this lutz can be criticised since there he jumped it off the inside edge, not outside. - The Ina Bauer is beautiful, it sets off the program, it’s a very nice component. - He seems to never tire, but now you can see that..
- Well-done, he fought through it! - You know I’ve been watching him in this program all this season – just imagine, he does two quads, then 3F, then a spin and the step sequence, and then he starts with the second half – a combination, another combination, yet another combination, and two combinations with 3A, and one 3Lz2T2T – the jump layout is super-difficult and very valuable. And he does that at 18 – how does he cope with it? Look at his body type – his muscle fibres are not so prominent and bold, but he’s got both explosive power and he’s got plasticity too. - He’s got long muscles – Joubert has got short muscles. - He’s got very flexible and elastic muscles. - And they’re light, they don’t weigh him down. - Unfortunately, his 4S had quite a problematic exit, so he might get a downgrade, or get 7.4 instead of the base value for the quad. He was 15 when he won the Junior World Championship, and last year, he won the bronze medal at his debut World Championship. Yuzuru Hanyu, a young man from Sendai who trains with Brian Orser in Toronto. David Wilson and Jeffrey Buttle were his choreographers. I think Jeffrey Buttle will congratulate him when he leaves the Kiss&Cry – Jeffrey is here. Brian Orser is sending off Javier Fernandez onto the ice now. Yeah, he didn’t manage to show his season’s best here, since his 4S was downgraded. All the videos are uploaded by ElenaC, who I thank so much for providing every day new commentary of Yuzuru's performances. I don't think her most recent videos were translated anywere, so I'd like to share them here. Let me know if I am doing work that's already been done! Max: Standing ovation before the skating starts, because it's time for Yuzuru Hanyu. Angelo: a Yuzuru Hanyu who presented himself in... let's say, "enigmatic" conditions. From a physical standpoint, there were many problems during the season, and yet there were many successes for this Japanese star player. Max: For him "Impossible is nothing" (he says it in English lol), this is the motto. (Angelo laughs) Where can he go when he is in good shape? We don't know. Very far, for sure. Max: Right. Only him. Also, right after being on top of the score rank, the first thing he did was encourage and shout out to his friend and training partner Fernandez, which would have skated after him to beat him, and Hanyu supported him right until the end. This athlete is unique in every and all aspects, how can you not love him. Question mark. (He says this as a question, but there's no question mark intonation in the end. He's saying it like it's a statement, "it's impossible not to love him"). Angelo: Truly. He showed all of his class, he fought until the very end, he reacted to his own mistakes and showed true sport spirit by encouraging his training partner Fernandez, and it's not even the first time, if you remember, we already saw this in the Grand Prix Final in Barcellona. Max: And we will surely come back to this, because it's a long story. Angelo: It's a nice image for this sport. Max: And after having watched in religious silence Hanyu's replay, we celebrate two legends of skating. Max: And now it's time for Yuzuru Hanyu, whom represented the big 'unknown', and his beginning wasn't even one of the best. Angelo: At the start, 4Toeloop, he brushes the ice with his hands, step-out, he almost falls (during the live broadcast they compliment his knee bend, comparing it to the famous "Oda-knee-bend save"). Of course, -2 from almost all the judges. Even some -3. Max: There was also a debatable -1 though. Angelo: Yes, debatable for sure because the mistake was severe, it's true that there was a step before, the jump was beautiful, but... -2 was the correct choice. This Athlete is complete, let's not forget this excellent low spin with change of foot. And a great camel, with an 'Angel jump'. A level 4 spin that's worth a lot, even just as a BV. But his real advantage on Javi comes now, when he starts to jump in the second half of the SP. First, this 3Axel, preceded and followed by transitional steps. A rich Short Program, this one. And after the 3A, a combination in the second half, 3Lutz-3Toeloop. Max: And from here on, he lets himself loose (in a good way), but there's something to be said here. On every element in the short program, Hanyu beat Fernandez in everything except the quadruple. Angelo: The quadruple, of course, which gave (Javi) an advantage of 4 and a half points. Max: 4 and a half points that (Hanyu) took back and took the lead. So let's go back to the discussion regarding Grades of Execution that we opened during the Ladies' Event. If you gain a point here, a point there on every element, at the end you can even afford to do the mistake. Angelo: It's unique. The jump itself is amazing, the height is incredible and the speed at the exit is incredible. Han Yan enters with the most speed, because he doesn't put any steps before it. So it's obviously an impressive jump, because it's 15 meters long, thanks to the speed with which he enters it. They are different jumps, two different things. It's fair to reward both. 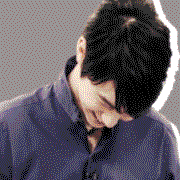 Probably, Hanyu's is the most difficult. Max: They are two different things, like you said. Also, Yuzuru was the best in the Step Sequence. Angelo: Yes, a well-skated Step Sequence, and you can also see how well he keeps the interpretation and character up until the final pose. Max: Angelo, what has Hanyu done! Max: It's not WHAT he does. It's HOW he does it. Angelo: Exactly. And what Nathan Chen did is clamorous, but Hanyu has a quality... he fell two times, Nathan, Hanyu made zero mistakes, he succeeded in every element like it was a joke for him, terrifying. The quality of the 3A, of the 4S3T in the second half, anthological, how he skates, truly. He has no equals. When he's like this, others have zero chance. But, really, we are watching the performances of the greatest of history, and maybe the Palmares won't say that, maybe he won't win as many competitions as his talent allows him, but he's simply unique and unreachable. Angelo: Yes, Nathan's potential is amazing and he can potentially be a threat even for Hanyu - NOT if (Hanyu) skates like this. Max: Let's move on to Jin Boyang, from China. The man who changed the discipline. Because, before Nathan, there was him, with his 4 quadruples, now 5. Angelo: Yes, he sort of primed the pump of it all, Hanyu somewhat made us understand that that was what he was aiming for, that was the road figure skating was about to take, but Jin told us the way clearly, and he even encouraged the Japanese (Hanyu) to go beyond his limits. Max: We've seen... how many different quadruples? Four? Angelo: In the first group? Max: The flip... no, we've had the Flip with Chen. We've seen everything - except the Quadruple Axel - that Hanyu tries in practice - careful, I shouldn't say this - and lands it. Angelo: Yes, some of the landings (Boyang's) have less quality, clearly, than Hanyu's. Max: Attention, the 300 is coming. Angelo: Yes, here it is. Max: They are four in history: Hanyu, Fernandez, Nathan Chen and Jin Boyang, who deserves all of it for what he gave us today. Amazing. Max: This is a warrior. He's a warrior for how he fights for every element. Maybe on some elements he doesn't have the same quality as Yuzuru, but many times he seems like he's gonna fall and he stays on two feet. Max: This is just the appetizer of what we're gonna see at the Olympics, next season. They're gonna be an exclusive. Angelo: It's gonna be a battle to the death, with quadruples as their weapon, here Hanyu gave a proof of strenght that's absolute, but let's not forget Nathan Chen's absolute technical power, he had 110 technical score with two falls and changing the program on the go. Max: Yes, we can't take anything for granted, the fight is open. It's not by chance that Yuzuru is training the 4Lz, that he lands well in training, and he has the 4A (working on it LOL). Shoma Uno is gonna put the 4Salchow (planning to), AND he dreams of the 4A as well, Fernandez is gonna have the 4Loop. Next year, we really risk to see programs made of only quadruples and 3A. Angelo: Scary. Hanyu cheers for Fernandez, he knows the title is his. Max: So, Asian podium. Japan had already had two medals with Yuzuru and Machida in Worlds 2014 in Saitama. This win is heavier. Yuzuru is celebrating, he's letting loose. Angelo: He gave life to a performance that we're gonna remember for a long time. 321.59 with a disappointing Short Program, but the best Free Skate in history. Max: Ever. With all respect for the stars of the past. They were exceptional, Yagudin, Plushenko, but we've seen something beyond that. Angelo: And Uno's performance... wasn't even that far. Terrifying, him too. Japan has put the fifth. Tanaka is in the 19th place but the other two have done good. A scary double win. Three spots for the Olympics. Max: We have a well deserved replay for the new World Champion, Yuzuru Hanyu, second title. Today he was amazing, world-record in the Free Skate, a performance that is already in history. Angelo: And after that performance, what does he say? "I have to practice harder". Max: He's incredible. There's nothing to be done about it. This the right place for this? Dutch commentary on Eurosport E2, Rostelecom 2017, Chopin SP. JP: Okay, and now, today’s apotheosis. HL: Fortunately a lot of Japanese fans present here in the lion’s den in Moscow, Japanese fans don’t care [where an event takes place], they really go everywhere. Just 22 years old, we shouldn’t forget that. Yuzuru Hanyu. He is able to jump the quad lutz, but will keeps things modest, we think, judging from his training program here, he will go for the quad loop and the quad toe loop combination. JP: We kept silent to allow you optimal enjoyment of Yuzuru Hanyu’s *new* (????!!!!! and with emphasis!) program set to Chopin. Oh, look at that, it’s raining here, there are actually a lot more Japanese fans here than we thought, look at that, the ice is full with Pooh bears, that’s his symbol, Winnie the Pooh, as if we’re in Japan. HL: fortunately he skated last! JP: yes indeed otherwise you will spend a few minutes to get all this off the ice. HL: But anyway, *new* program indeed [??????!!!!!!. Both these commentators have been around for a long time, they’ve seen this program a gazillion times before! ), set to Frederic Chopin, made by Jeffrey Buttle, old Canadian world champion. HL: the little boy is thinking, I’m taking my moment, I’m sticking close to him. JP: yeah, a (or the?) mini-Plushenko there handing out the presents. 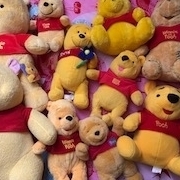 HL: Unbelievable (I think she refers to the Poohs, although again, come on folks, you’ve seen this a gazillion times before, don’t act like it’s new). JP: But yes, with two mistakes, the quad loop which was overturned, and then he fell at the second jump of the combination, but he went for it, he fought for it, also for the landing of the loop where he didn’t put his foot down. JP we’ll see it back, but it was beautiful, especially that axel, phenomenal! HL: yes, that was definitely the highlight. JP: here, watch the landing closely, well, it’s landed on the quart, at the most positive, continues to rotate and immediately goes into the transitions and the choreography. Look he does keep that second foot off the ice, very impressive. HL: very nice spins, too, also he uses the music while doing the spins, like with those arm movements. HL: we don’t get to see the preparation for the jump, but it was almost a step sequence. HL; and then he comes to a stop here at the landing. JP: and he couldn’t save the landing and that’s a fall. JP: BUT, it’s a work-in-progress masterpiece. He’s not a robot who can always get it perfect, he executes very difficult programs, very difficult choreographies, and he really needs a few months to get it right and get it into his legs and to combine that sublime jumping technique with that *very* difficult choreography, and I feel like he’s already pretty far. JP: even so, that is one heck of a score, 94.85. Nathan Chen remains ahead of him, but Hanyu has a higher presentation and that’s fair, because the program is much better on a choreographic level. HP: four points higher in presentation, but the technical score of 49, we have to compare with Chen’s 57.50. He had a lutz and a flip, those are two jumps who are also more worth in base value than the loop and the toe loop that Hanyu chose to jump. It’ll be an exciting season. So now that the new season started, all the 2017/18 stuff can go here! (When I was revisiting his old performances, I was having a kick out of the commentary, and I just couldn't resist sharing it here. The predictions made by the commentor just came true one by one. I apologize in advance if I made any mistakes. It is a pretty rough translation. Commentator 1: Coming up is a young skater, Yuzuru Hanyu, from Japan. Commentator 2 (Huang Feng 黄峰): At this time, there must still be many figure skating fans who are watching from the computer screen waiting for Hanyu’s SP. 1: Just like what Huang-teacher is saying, this skater is definitely Japan’s new star, and a genius figure skater. 2: I can just predict it now, that he will absolutely be the world champion in the future… because his skating skill, his expression/performance skill (表现力), difficulty, technicality… he is relatively perfect in each aspect as a skater. Now he is only lacking in experience and ability/capability(能力). 2: There is still some regrets in his 4T… step-out and hands-down, which mean his GOE probably is going to be -3. Also, his original plan was 4T-3T, but due to his failed first jump, he could only move his combination jump by attaching the 3T to his 3Lz. So… But, the rule said there must be connecting steps or transitions before the solo jump… he only did one transition before his 4T, and the wait prior to his jump was very long… so accumulatively all the negative points/aspects… he would have -3 for the GOE as a punishment. The rest of the program he completed very nicely. 2: This is the very high quality 3A he did. 2: Very clean, and very smooth. 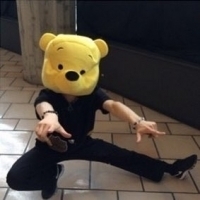 2: Hanyu is very unique in that currently, his choreography up to now is still Japanese choreography. I mean his current coach did his choreography. I predict next season, or soon in the future, he will seek out famous choreographers around the world to do his choreography. Then he can improved his artistic expression even more. 2: This is his coach. 1: He is a very simple, pure boy. 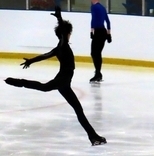 2: He really loves figure skating. There was one time, in a competition taking place in Asia, during Junior level, he shedded tears over a very bad performance. (1: laugh) He really loves figure skating. Currently, he is still unlike other senior skaters from level of experience and power aspect of the jumps. (1: Yes) But he definitely has the potential. 1: Okay, lets look at his score. 2: Mainly, beside his mistake during the quad jump, his other components all received positive scores. Add to that his expression, his performance, every aspect was scored highly. Fun fact: one of the commentators here is Huang Feng, an international ISU judge. Besides his predictions here that proved to come true a few years later, he is also the one who predicted Hanyu to include two quad jumps in his SP (Chopin) in 2015-16 season from watching Hanyu’s performance in 2015 Skate Canada. I really like how he praised Hanyu's skating skills and expression at the time when many only focused on his jumps. As far as I'm aware there haven't been any translated subs of the Greek commentary from worlds 2017, so I wanted to do that (even if the particular commentators for the SP and FS don't offer that much insight regarding his skate lol). At first I submitted the translations to the already uploaded vids from this yt channel that seems to have collected many other wc17 commentaries, but I'm not sure if they're active anymore and can approve of them So, in the meantime, I re-uploaded the videos on drive where I added the subs in CC. (!) Edited to add vimeo links! … A most curious ritual of going onto the ice, this respectful handshake. The Japanese are special about every single thing. Let’s see whether he’s going to be special in his skating too. Yadzuru Nanyu… Hanyu, I apologise! Rachmaninov’s Paganini Rhapsody… Ok, go! (Yuzu falls off a tilted 3A) Ouch, it’s such a shame! That was another attempt at 3A. (Yuzu lands his 3F3T combo) Great, just great! 3F3T, with grace and ease! He rotates fast, this smallish and thin boy, who, in spite of looking quite delicate, must be quite strong. (Yuzu jumps 3Lz) There he goes, he landed it. (Yuzu does his sit spin) Keep it, keep it centred, there’s a good boy! He was off-centre at first, there you can see those loops… wow, this young man’s flexibility is great. He isn’t even a young man, he’s just a boy, he turned 14 just over two months ago, on December 7th. He’s one of the youngest participants of this Junior World Championship. Wow, how easily he changes his edge in the spin, just look at that, how easily he changes positions in his spins, that’s just staggering, oh, a Bielmann, a tribute to Evgeny Plushenko, who had a fantastic flexibility when he was of the same age - at this age Plushenko was a star already, and one of his signature elements was the Bielmann spin, which very few men can do. (Yuzu meanwhile lands 3Lz2T) Great, just fantastic! (Yuzu does his Ina Bauer) And that’s a tribute to Shizuka Arakawa! Can you remember the way she nearly skated along all of the skating rink (in that position) in Salt Lake City and won the Olympic gold? (Yuzu falls at the end of his 2A3T combo) Urgh, what a shame! But his skating looked a bit reckless, he lacked a bit of concentration, because his 2A was a success and the exit was good, he just needed to be more careful about his second jump, perhaps, make it safer. (Yuzu finishes his program) Brilliant, just brilliant! You remember Nobunari Oda, this Japanese boy’s compatriot, emerging a few years ago? Nobunari Oda debuted with a wonderful short program to the Marriage of Figaro back then? He literally sang back then, he was so carried away by his music, and his skate was great throughout. This was another quite inspired skate by a Japanese skater. Yuzuru Hanyu’s skate was so fast, light, delicate and graceful, and technically precise at that - it’s nearly unfathomable. The most wonderful thing is this: while one watches junior championships, one counts elements, jumps, rotations, positions, and you look carefully because you have to make out the skater’s technical potential. In this case, I can honestly confess that I forgot all those jumps and spins, because everything was executed so wonderfully… so charmingly. Rachmaninov’s music suits this athlete to a t. It was a bit of a disappointment to have that fall on the second jump of the combination – and the combinations aren’t too bad for a 14-year old skater, all having a triple jump in them. I think it would be interesting to see the rivalry between Yuzuru Hanyu and our Artur Gachinsky, because they skate in a somewhat similar style and Artur Gachinsky has had 3A under his belt for a few years – that’s what Yuzuru Hanyu tried to do at the start of his program, but he didn’t quite make it, Artus is Mishin’s student, is technically proficient and can jump 3A. This year, Artur Gachinsky was 8thin the Junior Grand Prix. Unfortunately, he isn’t competing here… So let’s see, he (Yuzuru) gets 103.59, and he gets 2 point of deductions. Nevertheless, it was his best result, his new personal record, 161.77 and he’s currently third. But for now, I think he’s the main revelation of the Junior Championship so far. I think we should remember (this name) - Yuzuru Hanyu. With the new season on the way, the designated thread is now up!